This article was last updated Feb 20, 2019, but some terms and conditions may have changed or are no longer available. For the most accurate and up to date information please consult the terms and conditions found on the issuer website. The information related to the Bank of America® Cash Rewards for Students and Bank of America® Travel Rewards for Students has been collected by CompareCards and has not been reviewed or provided by the issuer of this card prior to publication. When in college, it’s a good idea to get a head start on building a positive credit history. A $0 annual fee student card, such as the Bank of America® Cash Rewards for Students, can help you do that while earning rewards. After graduation, you’ll most likely look to rent an apartment or purchase a car, and lenders will check your credit during the application process. It’s key to have a good credit score so you have the best chance at approval. The Bank of America® Cash Rewards for Students can provide the foundation for establishing good credit during college, when used responsibly. Know that to qualify for a student card, you need to be at least 18 years old and have a steady source of income. We’ll review where the Bank of America® Cash Rewards for Students stands out among competitors, where it falls short and how it compares to another student card, the Bank of America® Travel Rewards for Students. $0 annual fee. 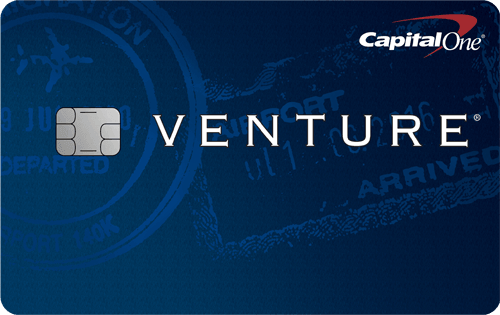 There’s no annual fee required to hold this card, which is similar to most student cards. Free FICO® Score. When you’re building credit, it’s important to regularly check your credit score to track your progress. Bank of America® provides your free FICO® Score (updated monthly), along with the key factors affecting your score, and other information that can help you build good credit when you opt in for this perk. Flexible cashback program. Each quarter, you can conveniently choose to earn 3% cash back from one of six categories: gas, online shopping, dining, travel, drug stores or home improvement/furnishings (on the first $2,500 in combined choice category/grocery store/wholesale club purchases each quarter). Cash back can conveniently be redeemed for a statement credit to offset the cost of your bill, among other options. Special financing for new purchases. As a student, you’ll have to buy textbooks and supplies for class, which can add up fast. 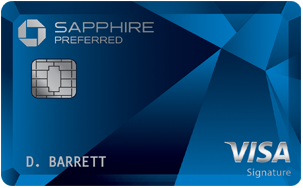 This card offers a 0% Introductory APR for the first 12 Statement Closing Dates on purchases (after, 16.24% - 26.24% Variable APR). You can benefit from paying for new purchases over the course of a year without incurring interest charges. No minimum redemption amount for eligible deposits. When you redeem cash back directly into a Bank of America® checking or savings account, or for credit to an eligible account with Merrill Lynch® or Merrill Edge®, there’s no minimum redemption amount. Just know, if you set up automatic redemption or choose other redemption options, there’s a $25 minimum redemption amount. Quarterly limit on 3% and 2% cash back. You can’t earn an unlimited amount of cash back in the higher cashback rates. The 3% and 2% cash back is limited to the first $2,500 in combined choice category, grocery store and wholesale club purchases each quarter. After you spend $2,500 in the combined categories, the cashback rate drops to 1%. Low everyday cashback rate. Purchases outside your choice category selection, grocery stores and wholesale clubs earn a low 1% cashback rate. While this is pretty standard among student cards, you can find cards that offer up to 1.5 points per dollar. Cardholders earn 3% and 2% cash back on the first $2,500 in combined choice category/grocery store/wholesale club purchases each quarter, then earn 1%. 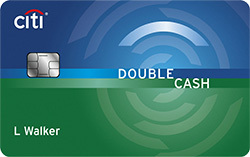 This cashback program was revamped in January 2019 to allow cardholders the flexibility to choose one of six categories in which to earn 3% cash back. The bonus category can be changed once a quarter, and the default is gas stations. Statement credit, deposit directly into a Bank of America® checking or savings account, or for credit to an eligible account with Merrill Lynch® or Merrill Edge®. No minimum redemption amount. Contribution to a qualifying 529 college savings account with Merrill Lynch® or Merrill Edge® or for a check, starting at $25. Automatic redemption is available only for deposits to an eligible Bank of America®, Merrill Lynch® or Merrill Edge® account and start at $25. However, if you manually redeem rewards into these accounts, there’s no minimum redemption amount. New cardmembers can also earn a $150 cash rewards bonus after making at least $500 in purchases in the first 90 days of your account opening. Students who travel often could consider a card that provides travel-related perks, such as the Bank of America® Travel Rewards for Students. Cardholders earn unlimited 1.5 points for every $1 you spend on all purchases everywhere, every time and no expiration on points, and points can conveniently be redeemed for travel costs, such as airline and hotel fees, without blackout dates. If you plan on doing a semester abroad or traveling outside the U.S. on vacation, it’s a good idea to choose a travel card with no foreign transaction fee, such as the Bank of America® Travel Rewards for Students. In comparison, the Bank of America® Cash Rewards for Students charges a 3% foreign transaction fee. Balance transfer fee Either $10 or 3% of the amount of each transaction, whichever is greater. Either $10 or 3% of the amount of each transaction, whichever is greater. The Bank of America® Cash Rewards for Students is a good choice for college students who want a flexible cashback program. The ability to choose one of six categories to earn 3% cash back in is a unique perk not found among other student cards. However, if you’re looking for a card that has more travel-centric perks, consider the Bank of America® Travel Rewards for Students.